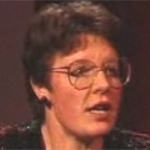 Jocelyn Bell Burnell visiting Professor at the University of Oxford and President of the Institute of Physics. This Discourse was video recorded in 1997. The discovery of pulsars, neutron stars which form when massive stars explode (supernovae), took astronomers by surprise. In this Discourse their discovery is described and the way in which these bizarre objects have led to an understanding of matter under extreme conditions.